Being injured by a dog bite isn't one of the first kinds of accidents that people think of when they think of a personal injury lawsuit, but the reality is that being bitten by a dog could carry very long recovery periods and leave you struggling to heal physically and mentally. No matter the specifics around your dog bite, you could have a legal case for compensation. Our team will fight to get you what you are owed and ensure that you are able to heal properly. We fight to make sure that our clients are compensated for their injuries, including dog bite injuries. According to Florida law, a dog owner is responsible for ensuring the safety of those around their dogs. In short, if you are bit by a dog, there is a very strong possibility that you will be owed compensation for your injuries. Proving fault can be a challenge, of course, and in order to ensure that you are able to get the compensation that you deserve it is important to trust in a professional lawyer. Structuring your case begins with proving fault, and while Florida's dog bite laws make it easier to prove liability than some other forms of premises liability, there are still very real challenges and it's common for the other side to do all they can to avoid paying you a dime. Our lawyers have decades of experience in getting our clients the most from their case - including in a dog bite injury case. We'll stand up for the injured and get them what they deserve. Florida is a comparative negligence state. This means that in many personal injury lawsuits, each person's fault is considered when determining a settlement amount. For example, if a jury finds that you are actually 25% to blame for an injury you sustain, you could receive only 75% of the total damages normally awarded in a case. Some examples of what could be used to show that you are to blame as well in an accident include the following. Essentially, if you did anything that could have contributed to the accident, you may be at fault to some degree. This will need to be considered when filing your claim and also when seeking a settlement agreement. Our legal team understands the challenges associated with comparative negligence, and we fight to make sure that you get the amount that you deserve even if you are partially to blame for your injuries. It's easy to be taken advantage of in cases such as this, and we don't let it happen to you. What About Worker's Compensation and Dog Bites? Essentially, if you are working in a field that gives you an implied invitation to enter the premises and are on someone's property legally, you could have the ground to file a worker's compensation claim. This is because you are injured while performing your day to day job duties, and as such your injuries could be covered under worker's comp. This provides compensation to cover all of your medical expenses, lost wages, and other costs related to the accident. However, it's also important to remember that even if you file a worker's compensation claim, you could still seek additional compensation through a personal injury lawsuit. A worker's comp claim may not cover all of your long-term future expenses, and those responsible for your injuries could still owe you restitution. Our lawyers will review your case and determine what rights you have, then help get you the money that you deserve. If your injuries are very severe, your expenses could be far more than you realize. It's vital that you don’t accept settlement offers that are less than you deserve. Our lawyers fight to make sure that you get the most from your case and that you are able to receive compensation that allows you to make a full recovery. Lawyers That Fight For You You shouldn't be left shouldering huge amounts of financial burdens following an accident, and when you're bitten by a dog we understand how difficult it can be to recover fully. They do all of this knowing that you are hurt and struggling to recover physically and financially. Their bottom line is all that matters, and they'll bully anyone to make sure that it's protected. Our attorneys don't let this happen. We stand up for the injured, not the powerful. 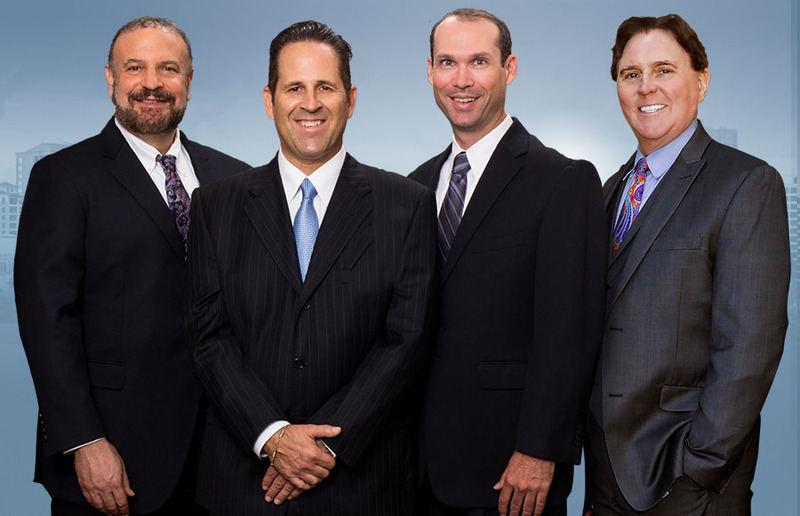 We have decades of experience handling personal injury law, and every year we get millions for our clients. And since we handle everything, you don't have to worry about anything at all during the process of getting you your money. This lets you focus on your physical health instead of on money, so you can heal and move on. If you've been injured by a dog, our lawyers are here and ready to make sure that you get the compensation you're owed. You don't pay a dime until we get you the restitution you deserve, and we're always ready to fight for those who are hurt.